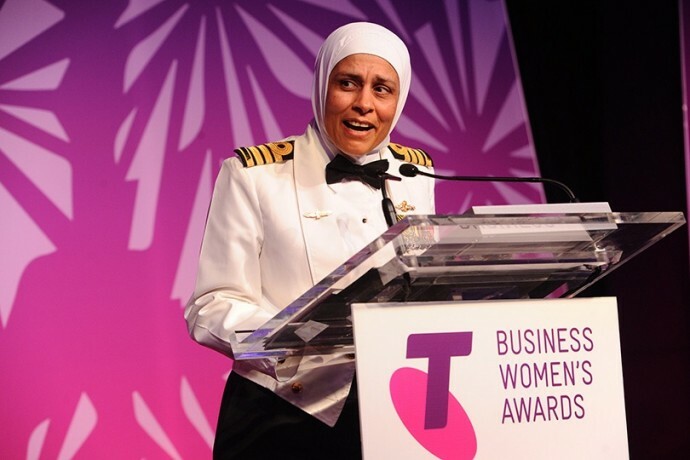 “This current reality makes me even more determined to work for a world where we don’t look at things like religion, gender or any form of difference for that matter.” Telstra Business Woman of the Year – Captain Mona Shindy. 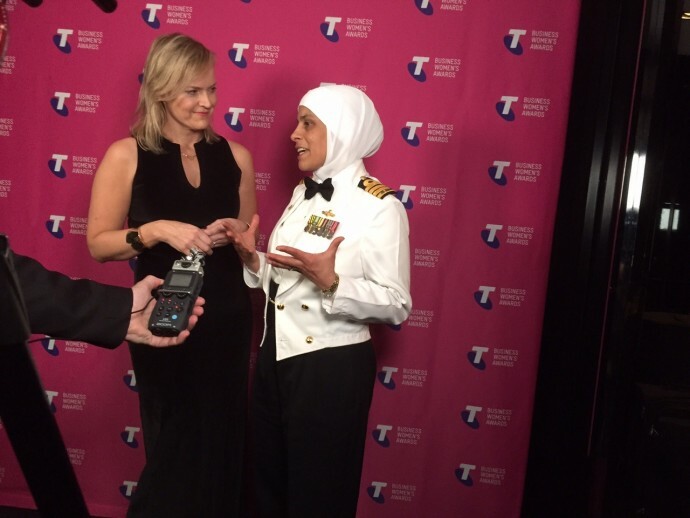 To all the social commentators calling for strong, intelligent Australian Muslims to help us work for a better tomorrow, look no further than Captain Mona Shindy. She proved a captivating force behind the microphone last night, as she took out this years brilliant Telstra Business Woman of the Year event in Melbourne. The win is the result of a 26-year-career in the Royal Australian Navy, pioneering organisational change as a weapons engineer/cultural advisor. It has no doubt been a hard slog – juggling three children, her religion and gender with life on ships. Yet during an impactful speech (watched by her super proud teenage son) she spoke about a passion to challenge entrenched attitudes to difference and believes we can get to a place of strong pride in the idea of a shared national identity. Captain Shindy (who immigrated from Egypt when she was 3) said she believes her power to cut through lies in leadership by example, frank, two-way conversations, and taking the time to understand what motivates others. The fact this win came in a week of enormous global instability following the Paris attacks, wasn’t lost on her or the audience. She spoke of her disappointment at having been branded a token winner by some small minds. Captain Shindy, heads up the guided missile frigate system program office and is also an advisor on Islamic Cultural Affairs. 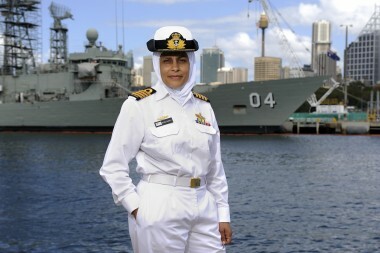 Judges named her “sharp financial acumen” in managing substantial budgets in the navy and were impressed by her dedication to build and strengthen bridges between the Islamic community and the navy. 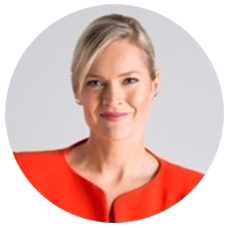 “Mona’s ability to unify and inspire as a leader in a traditionally male-dominated industry has created lasting business improvement and made way for real change in the navy,” said Telstra’s Business Women’s Awards ambassador and chief operations officer, Kate McKenzie. I can’t wait to bring you an on-camera interview with the inspiring captain very soon! Congrats Telstra on another brilliant awards and to every incredible winner. Tagged in Muslim Australian women, Telstra Business Woman 2015, Telstra Business Woman of the Year, Telstra Business Women's Awards.